The Boston Symphony Orchestra celebrated the start of the 2013 season at Tanglewood with an All-Tchaikovsky Opening Night concert at Tanglewood on Friday, July 5, at 8:30 p.m. in the Koussevitzky Music Shed. 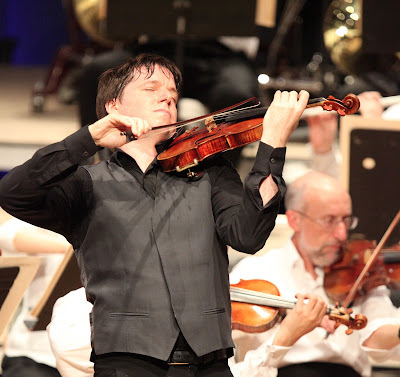 The gala summer event featured renowned violinist Joshua Bell. 0 Response to "1000 Words: Tanglewood Opening Night - 7/5"